Women's floral mini skirt from MICHAEL MICHAEL KORS. 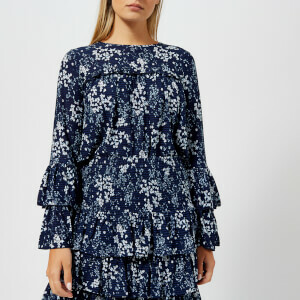 Crafted from stretch fabric with an all-over ditsy floral print, the skirt has been constructed with tiered panels to create volume and movement. Finished with an elasticated, shirred panel waistband for comfort. Slip-on style.